In Biking in Style, Do You Need to Go Shopping? Look at this and tell me it's not a purse. Raise your hand, ladies, if you’re like me in my former life: Always buying another purse in search of the perfect purse. That’s the one that doesn’t weigh too much totally empty, that has the right dividers and organizers inside, that has a comfy handle or strap, that will fit a file folder or laptop inside—whatever the features are that matter most to you that you can never, ever find all in one purse. Then I started biking and pretty much gave up that particular quest because I just use my panniers. But I don’t like them. They do not satisfy the inner Barb, the purse-shopping Barb, the Barb who wants to put her cell phone into the exact same place every time so she can always find it when it’s time to parent her teenage daughter via text. Purse-shopping Barb is doin’ the happy dance tonight, though. This doesn’t count as a review because I haven’t gotten to ride around with my new bags yet but I just had to show you the before and after pictures. Before: Utilitarian black bags, purchased in an emergency when my old pannier blew out during a conference. I kinda sorta hate them. The hooks dig into my side if I carry just one with the strap. If I clip the two together (admittedly a handy feature—if you want the entire weight of everything you’re carrying pulling on one shoulder) the hook attachments that hold them to the rack are a total pain! They frequently get snarled together in a fingernail-breaking tangle. Naturally I can’t get the tangled hooks apart when I’m in a hurry and really just need to get the bags on the bike so I can get rolling. Black is a bad color for the inside of a bag. More than once I’ve lost a little black pouch that holds my electronica because it’s swimming around in the bottom of a black bag and I can’t see it, or I managed to drop it into the gap they left between an inside liner and the true outside of the bag. 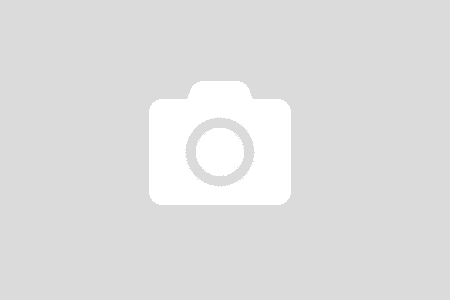 No true organizing possible. Everything just mooshes down to the bottom of the pannier. There’s one outside mesh pocket and one small zipper pocket on each of them but the protected space inside is just a big maw that engulfs my stuff. The outside mesh pockets close with Velcro, which means that any fabric items I stuff in there are guaranteed to get snagged. 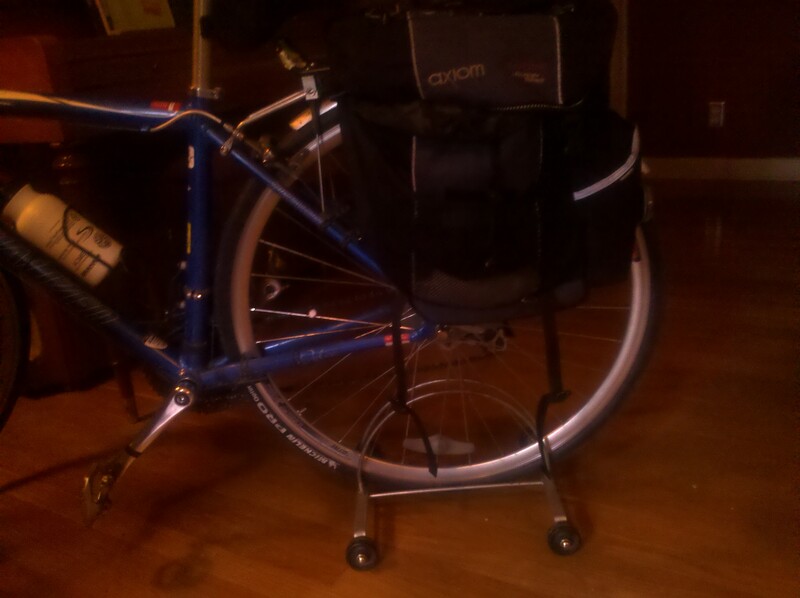 I had to buy bags that fit my specific rack, which constrained my choices. Plus there’s the whole ninja look. Pretty in Po Campo! 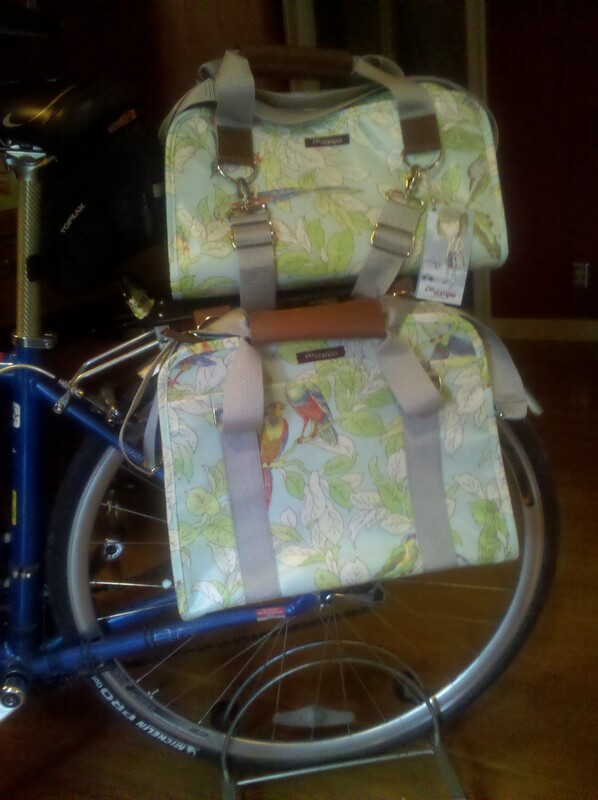 Logan tote strapped on top of rack, pannier hanging on rack, both in Free Bird fabric. Quick attachment with straps that just buckle around the rack—nothing to dig into my side later and this would fit on any rack. Not the slightest hint of ninja. Everything shows up inside against the nice bright lining. Pockets inside and a separator in the pannier that will make it easy to develop consistent packing habits. Big outside pocket on the pannier has a magnetic closure—no more snags. Straps on the bottom of the Logan tote used to fasten it to the top of the rack would also let me hang a yoga mat on there. How many times has Betsy seen me struggle into Spokane Yoga Shala with panniers, mat, water bottle, helmet, everything slip-sliding away? Still have that safety bit that’s important to me: reflective elements on the sides that will show while I’m riding. Plus the light fabric will just show up more. Back in the day before those daughters grew up, I would have appreciated the fact that these can attach to the handles of strollers too! Last but oh, so far from least, they look like purses. Nice finish, nice hardware, protected zippers, pretty fabric (with a water/fade resistant finish). Granted, I’m giving up some storage space because they’re smaller than the Black Ninja Monsters. But I keep trying to downsize what I carry anyway and this will force some additional decluttering. I have an ultralight laptop that fits into the pannier along with files and my insulated lunch sack fits into the Logan along with the Po Campo wristlet (not shown here), which will become my new wallet because I can strap it onto my handlebars when I don’t need anything else and ride, ride like the wind. What are your must-have features in bike gear and in a purse? Have you found them all in one item yet? Have you cleaned your purse/pannier out lately? What little treasures did you find? Funny that this is your post. 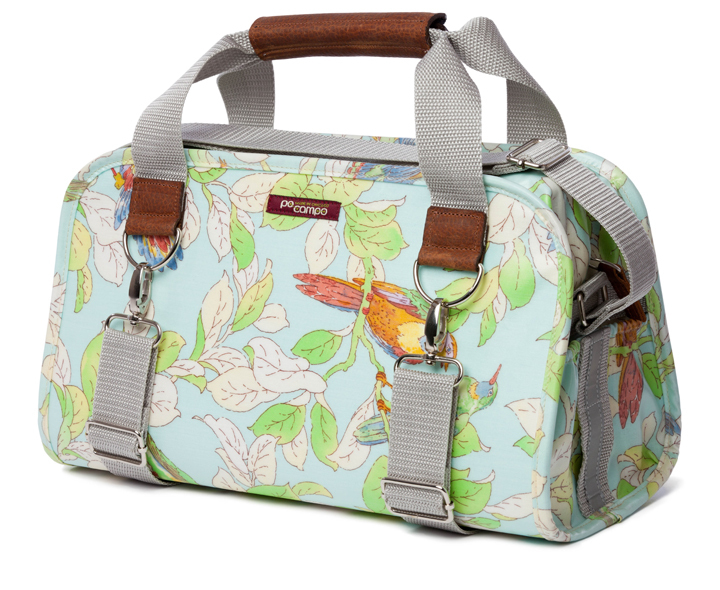 I have been thinking about new panniers. I got mine at a yard sale for 50 cents. They are red, and useful, but I was thinking about what I would like new ones to be…and more stylish is one of the criteria. and hooking on my bike easily is another. I clean my purse out regularly, and I want it to be big enough to hold my small wallet, keys, phone and lip goop. Must have lip goop…and I usually have several. If I keep the purse small enough, i will only have 2 or 3 lipsticks at any one time…and it will fit in the pocket of my pannier. Sandra, you’d love the Po Campo wristlet; it’s perfect for that batch of stuff. It can buckle quickly onto your handlebars (or rack if you prefer) or be stuffed into a bag. Hope to see you Saturday so you can check it out! The comments on that post will give you some idea of the features and drawbacks of other pannier types too. Well worth reading through them all. I love my waxed canvas version of the loop pannier!